d1-digital reclocker The d1-digital is a new concept of reclocker. It aims at improving the sound of any transport. It transforms also any 176KHz/24 DAC into a DSD ready DAC. The d1-digital is a new concept of reclocker. It aims at improving the sound of any transport. It transforms also any 176KHz/24 DAC into a DSD ready DAC. "With the reclocker, music sounded more refined, more nuanced, and simply more natural. "I must say, this is great !. It is more detailed and everything is natural. It is connected to the output of the drive (Chromecast Audio, Sonos, CD player, computer with USB, music server). 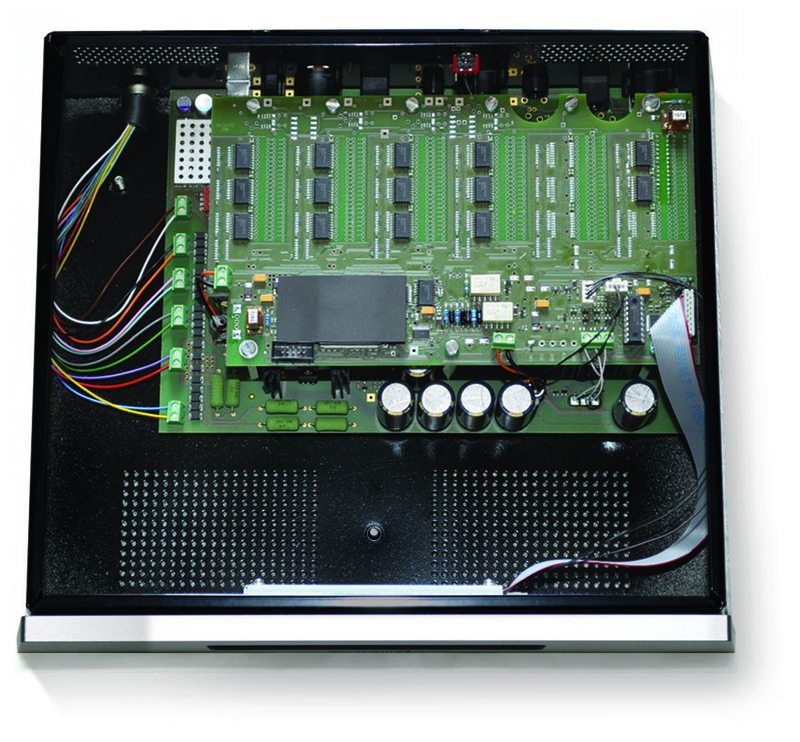 The d1-digital uses the same technologies as the d1-dual DAC, especially the asynchronous fifo memory but the analog outputs have been replaced by digital outputs. So it has multiple digital inputs, a 69bit volume control which can be used or not used and more interesting, it also has an internal clock which strongly attenuates the jitter of any digital source. So the d1-digital reclocker can be associated to all available drives. It can also be used as a USB to AES-EBU (or spdif) converter with very high sound quality. 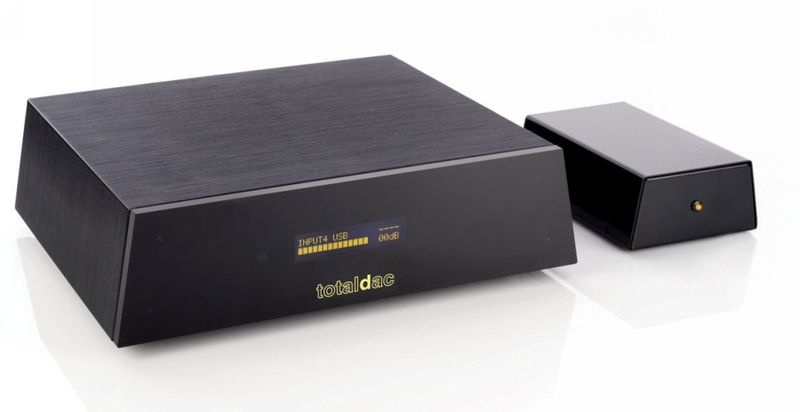 DSD files (DoP standard) are accepted on the USB, spdif and AES-EBU inputs and then resent in DSD DoP format or transformed to pcm 176/24 to the spdif and AES-EBU outputs. It can de-jitter any digital source to get an unexpected better drive from a computer, a music server or a CD transport. A USB cable length is limited by the USB official specification, so the distance between a computer and a USB DAC is limited. When a d1-digital reclocker is inserted between the computer and the DAC the AES-EBU cable length is almost non limited, so the computer can be placed far from the DAC. -44.1KHz, 48KHz, 88.2KHz, 96KHz, 176.4KHz and 192KHz, 16 to 24 bit formats supported on all inputs except 96KHz max for optical input. 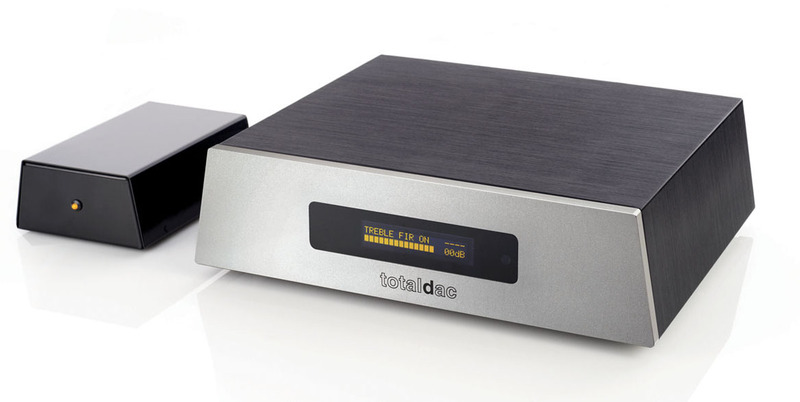 -DSD (DoP standard) supported on the USB, AES-EBU and spdif inputs. -an custom DSD to 176.4KHz/24 pcm can be activated or disactivated from the remote control. -USB input compatible with Jplay in 24 bit "extreme hibernate" mode. -AES-EBU and spdif (RCA or BNC) digital outputs, only one of these outputs must be used at the same time. -69bit digital volume control, adjusted by a remote control and an OLED display. The remote control receiver can be disabled by a switch to dedicate the remote control. -bit perfect signal path when the volume is set to maximum (0dB). -dimensions: height 110mm, width 360mm, depth 290mm. -BNC coaxial digital input and output instead of RCA. -USB cable with high performance filter for a noticable sound quality improvement, length on demand, 1m by default. The list of embedded options is on the serial number sticker on the rear panel of the DAC. This is a measurement which proves how far the d1-digital attenuates the jitter. To show how far the jitter can be attenuated a high jitter spdif generator has been built, based on a mains pollution applied to a transport oscillator. So pollution is 50Hz, 100Hz and other harmonics. So a high jitter spdif generator is used, then sent to a AD1955 DAC chip evaluation board which is used as a reference DAC because it has no embedded fifo based jitter attenuator. 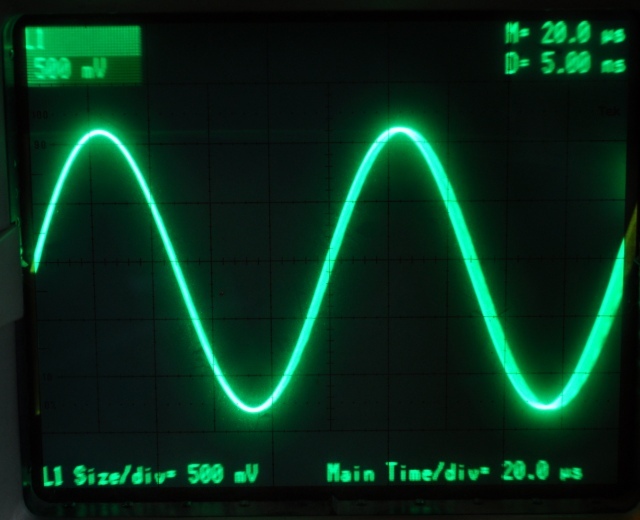 Then the DAC analog output is sent to an oscilloscope or to the Totaldac noise analyser via an attenuator. See the very high jitter, the sinewav is like "thick" on the right. 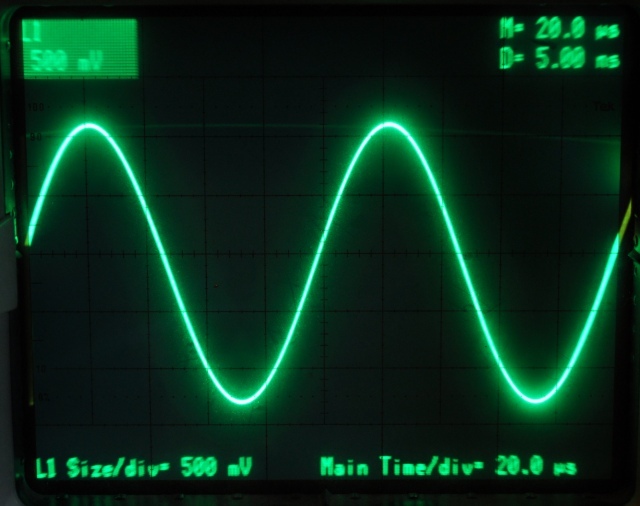 Now the jitter is not visible on the oscilloscope but it is hard to say how much jitter is attenuated. Now let's make the same experiment with a Totaldac noise analyser. The noise floor is not very clean due to AD1955 DAC chip and the basic power supplies used, let's remember this noise floor for the next measurements. A lot of spurious noise is visible around the 10KHz sinewave, this is the high jitter. A d1-digital reclocker is plugged between the transport and the AD1955 DAC. Now the 10KHz sinewave is clean. The is no jitter-type spurious noise around the 10KHz sinewave (ignore the ad1955 noise floor already measured). The jitter is vastly attenuated. The spurious around the 10KHz sinwave is attenuated by at least 70dB. This shows how far the d1-digital reclocker can attenuate jitter, and you can hear the improvement easily with any application. This is not the reclocker jitter measurement, this only illustrates the capacity of the reclocker to highly reduce the jitter.